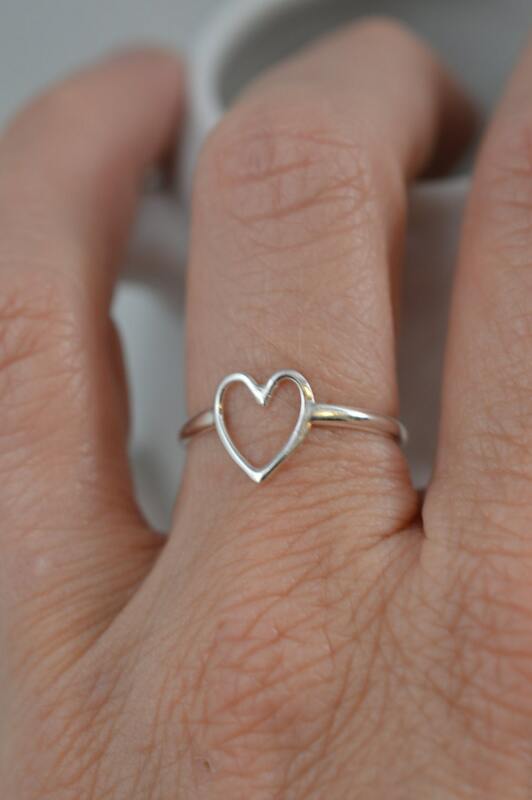 Don't wear your heart on your sleeve...wear it on your finger! 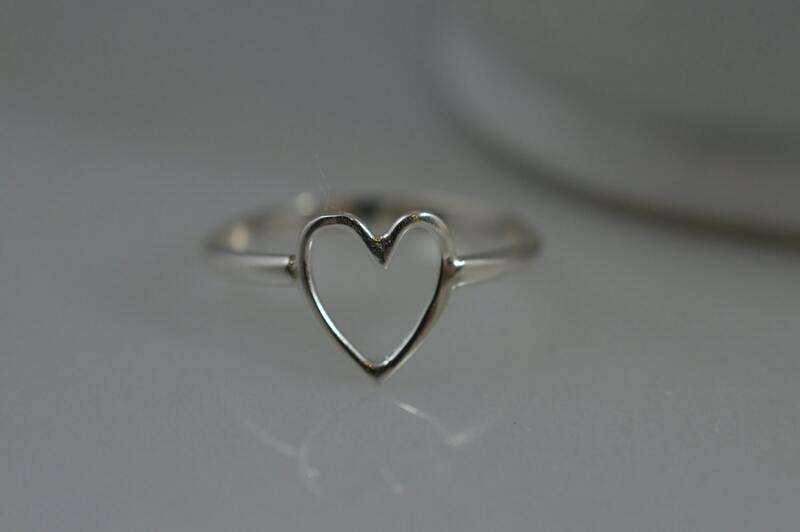 I soldered this sterling silver open heart onto a smooth sterling silver band to make this adorable ring. 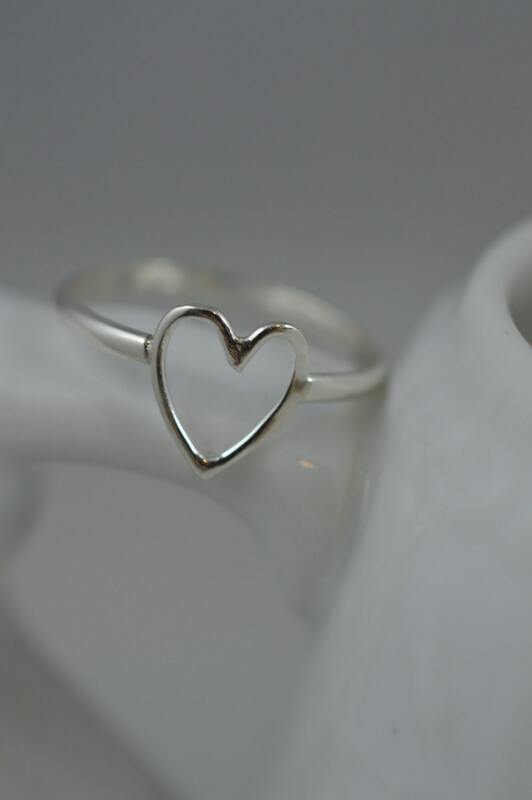 Heart is about 8.5mm.